Add moisture and a little shine to your smile with this organic lip balm. 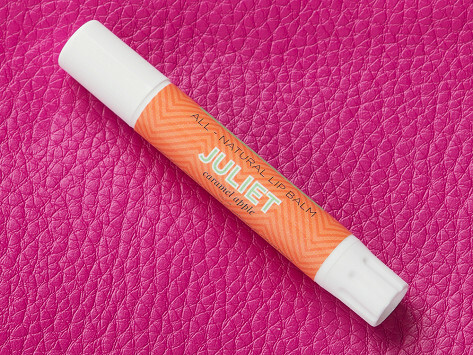 The lightweight formula is Made in the USA with all-natural ingredients like beeswax, coconut oil, and vitamin E. The blend soothes dry lips and come in sweet but subtle flavors and scents. Too small for the price,but smells wonderful. Now that Margo can check starting her own business off her to-do list, we’re eager to see what this enterprising teen accomplishes next.